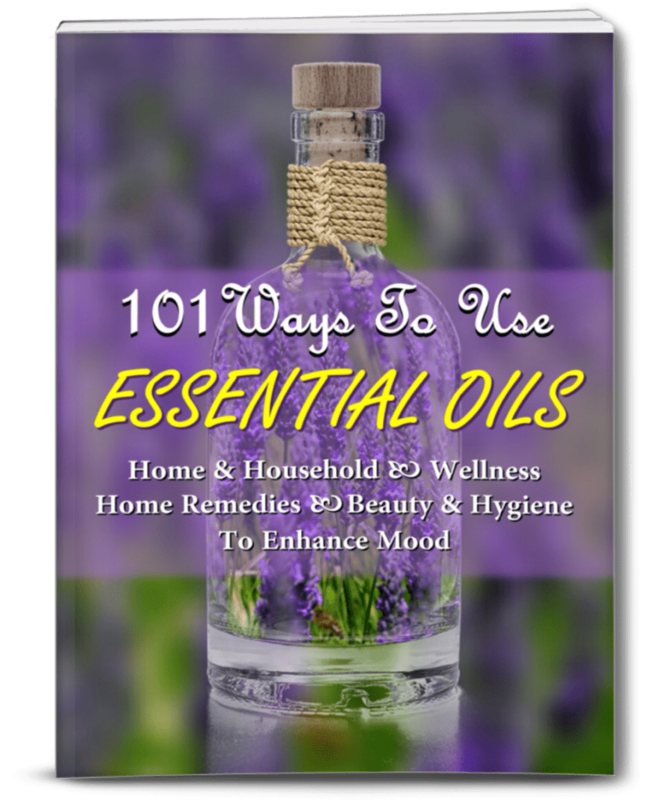 Every so often, Plant Therapy introduces brand new essential oil blends and synergies that are perfect to use for various purposes. I’ve tried several of their blends and am always excited to see what’s coming up next. All of Plant Therapy’s seasonal blends are created by Certified Therapists who take great care when choosing essential oils to add to each blend. It’s not surprising then that their seasonal blends are enormously popular. Their latest offering is the Autumn Treasures Fall Blends Set . 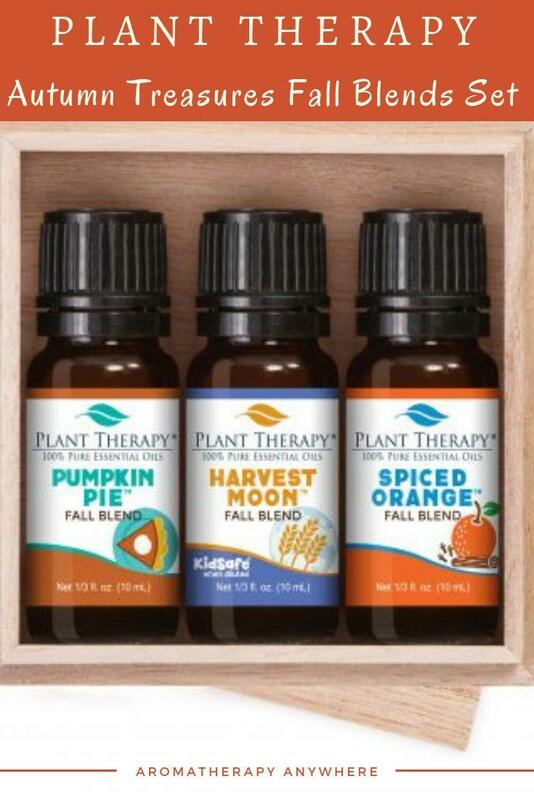 As always, Plant Therapy has put great thought into which scents to put together in this set and the result is a fabulous collection of 3 quintessential fall aromas. Their Fall Blends Set is only available through to October 31st. 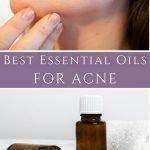 As with all of Plant Therapy products, it comes with free shipping. 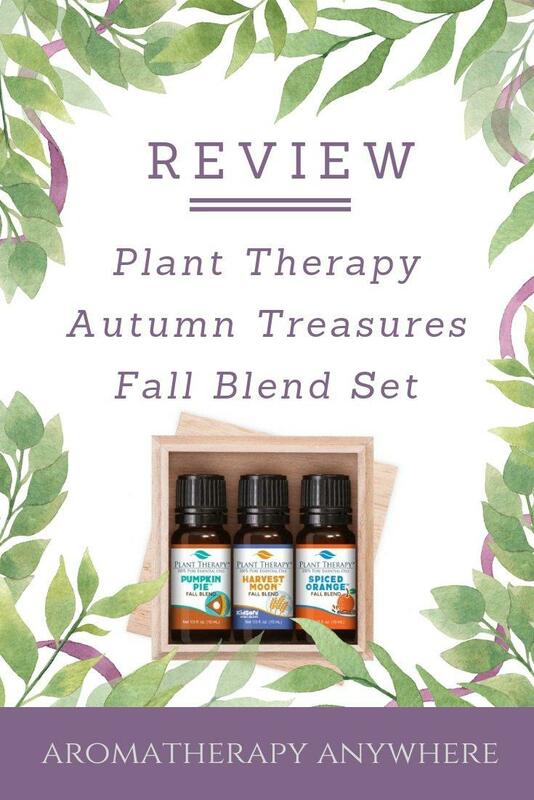 The Plant Therapy Autumn Treasures Fall Blends Set comprises 3 blends that evoke memories of different aspects of the fall season – Pumpkin Pie, Harvest Moon, and Spiced Orange. All blends are 100% pure and undiluted. The three 10ml bottles come in a simple, attractive wooden gift box. When it comes to the choice of blends, Plant Therapy does not disappoint. Each blend in the Autumn Treasures Fall Blends Set is reminiscent of all that’s best of the season. Let’s take a look at each of these fall blends individually. Think fall and the first image that comes to mind are pumpkins. There’s no denying that pumpkins and fall just go together, and pumpkin pie is the season’s most popular dessert. Although pumpkins can be cooked a hundred different ways, you cannot let the fall season go by without pumpkin pie. As the pumpkin pie bakes in the oven, it fills the home with a distinctive aroma that is warm and spicy with a hint of sweet. That’s exactly what the Plant Therapy’s Pumpkin Pie Blend smells of. The blend is made up of a proprietary mix of Nutmeg, Cinnamon Cassia, Peru Balsam, Clove Bud, Copaiba Oleoresin, Ginger Root CO2, and Cardamom essential oils. Diffusing this Pumpkin Pie Blend in your home is sure to evoke lovely memories of annual Thanksgiving dinners with the whole family gathered together at the dinner table. The Spiced Orange Fall Blend is made up of a mix of essential oils that belong to the citrus and spicy aroma families. The result is a blend that with a wonderful citrusy and spicy aromatic scent. The aroma of this Spiced Orange Fall Blend is similar to warm spices simmering on the stovetop on a chilly autumn night. Putting a few drops in your favorite diffuser will bring back warm and comforting memories of nights spent by the fire with loved ones. The smell and sound of freshly fallen autumn leaves as they crunch below your feet just adds to the magic of fall mornings. You can bring that crisp, clean smell of fall indoors with Plant Therapy’s Harvest Moon Fall Blend, which captures the smell of fallen autumn leaves beautifully. The combination of Cedarwood, Bergamot, Juniper, Fir Needle and Cardamom essential oils gives the Harvest Moon Blend a forest-fresh aroma with a hint of spiciness. The addition of Bergamot gives the blend an aroma that is refreshing and uplifting, while Juniper Berry and Fir Needle inject a crisp, clean mountain-air feel to the blend. Cedarwood adds a touch of woodsy forest aroma, and Cardamom gives it that warm, spicy scent.